Former New York Gov. Mario Cuomo, pictured here in 2009, has been hospitalized. (CNN) -- Former New York Gov. 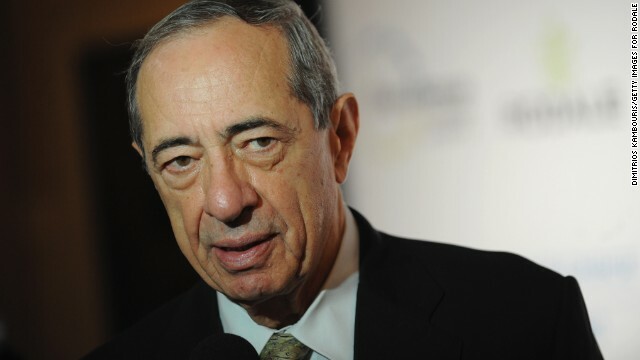 Mario Cuomo has been hospitalized to treat a heart condition, a spokeswoman said Sunday. "He is in good spirits and thanks everyone for their support and best wishes," a spokeswoman for New York Gov. Andrew Cuomo, the former governor's son, said. "We will provide updates as appropriate." 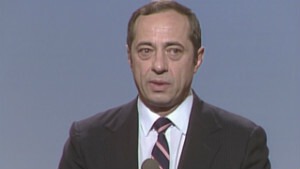 Mario Cuomo, 82, was New York's governor for three terms from 1983-1995. My pop is Mario Cuomo (also my son!) Pop is in the hospital, and he is doing well enough. Thx for all the sweet sentiments. Appreciated. Son Chris Cuomo, the host of CNN's "New Day," thanked supporters in a Twitter post Sunday night. "Pop is in the hospital, and he is doing well enough," he said. "Thx for all the sweet sentiments. Appreciated."